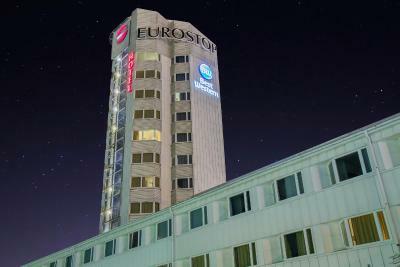 Lock in a great price for Best Western Eurostop Orebro – rated 8 by recent guests! Location right near the freeway makes it ideal for a quick stopover. Small shopping center with a supermarket within the hotel complex. Good breakfast. Very helpful and friendly staff. Climate control in the room was better than most other places we stayed in Sweden. 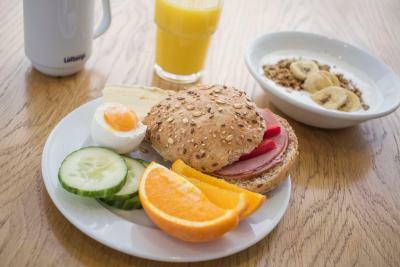 Outstanding Breakfast, Friendly staff, free car parking. A huge MAXI supermarket and small shopping mall were attached. In fact it was connected so you wouldn't have to go outside in the winter. My room was on the 9th floor and had a beautiful view of the city. The bathroom was functional and clean, but small. The bed was comfortable. This is a fine hotel if you arrive by car. 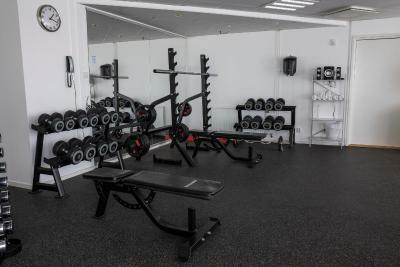 Very good gym! I manage to do my regular training. And excellent breakfast. Very nice staff. Free parking. Very good breakfast. Nice staff. Next to supermarket etc. It is not in the middle of town. But great if you are traveling by car with lots of free parking. Great place for a short stay, in the middle of the shopping center. Nice panorama from the highest level rooms. A cozy sauna. Very convenient location to those travelling by car and just stopping for the night. Good cleaning. Grocery store is in the same building, and it works till 22-00 so it's very convenient. Good options for breakfast, really nice. 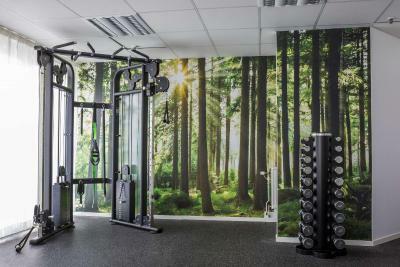 Free gym with a bit of everything. 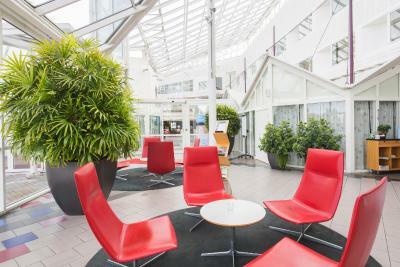 Best Western Eurostop Orebro This rating is a reflection of how the property compares to the industry standard when it comes to price, facilities and services available. It's based on a self-evaluation by the property. Use this rating to help choose your stay! 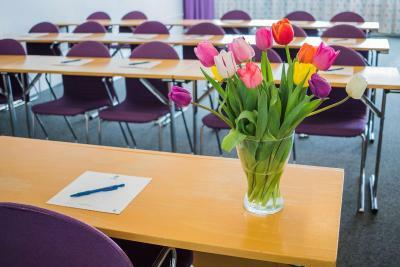 One of our top picks in Örebro.Located 1.6 mi from Örebro city center, Best Western Eurostop Örebro offers free WiFi, free parking and rooms with a satellite TV and private bathroom with shower. Most rooms provide panoramic views of Örebro. 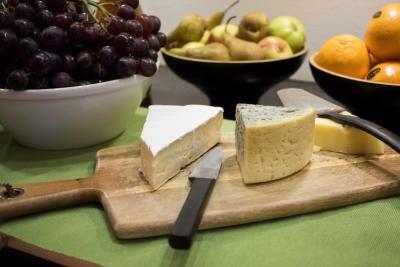 A generous buffet breakfast is served every morning. The Bistro & Pub offers meals and refreshing drinks in the evening. Relaxation options include a sauna. Children will enjoy the on-site playroom. A barber shop and a gift shop are located nearby the hotel. The Svampen Tower is 1.6 mi away. Örebro Airport is a 15-minute drive from the hotel. 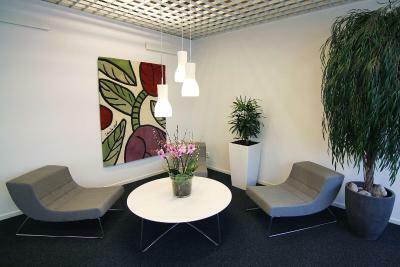 This property is also rated for the best value in Örebro! Guests are getting more for their money when compared to other properties in this city. 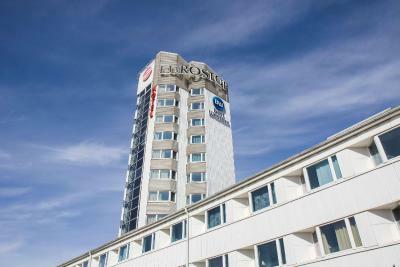 When would you like to stay at Best Western Eurostop Orebro? This triple room features flat-screen TV, electric kettle and hairdryer. This family room has electric kettle. House Rules Best Western Eurostop Orebro takes special requests – add in the next step! All children under 2 years are charged SEK 100 per night in a crib. Best Western Eurostop Orebro accepts these cards and reserves the right to temporarily hold an amount prior to arrival. 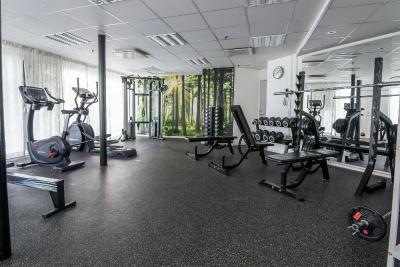 Gym room was just next to the reception where all guests are passing and not so inviting to do exercise. (We didn't try the sauna one floor up.) We booked twin room for 4 adults (having two teenage daughters) and we were expecting two room areas or 1,5 room. But it was twin bed meaning that two standard beds were separated half meter from each other. The other two beds were extra beds pulled down from the room-wall. Very small room for four persons. When reading room description again it was according description but the naming twin-room and stated good for four adults misslead us in the booking. The hotel offered us a family room instead but it was same type of room and only difference that the two standard beds were pushed together, so we stayed in the twin room. Otherwise nice and clean and good free parking area and some shops close and only some kilometers from city center. Small rooms. No opportunity to open the windows. With three friends in such a small room it is not healthy to have closed windows. EASY TO FIND, JUST AT THE HIGHWAY. A little far from the city center. You have to count on buses or use your car. This is a really intersting hotel building. The room was a really strange shape. It was very comforable in the room with a large TV and chair to in. A strange small triangle shaped shower area. My room was on floor ten which gave a good view for miles. The restaurant was friendly and efficient with a good varied menu. The breakfast is good. Very easy to park for free. 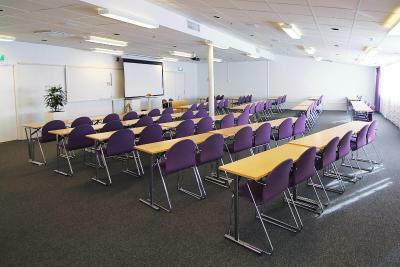 The soundproofing effect of the room was good. Compact shower room and toilet is easy to use. The hotel was on the high way so it was far from the city center, you'll need car to get there, it was also hot and the AC wasn't working. Rooms were stuffy and small. We are a family of 6 with a baby so our rooms were 1 Queen Suite with balcony and family Queen room. It was quiet and clean and breakfast was good, there was also a laundry room which was what we needed especially with kids clothes. There was also a supermarket and a pharmacy attached to the hotel and a gas station open 24/7. Theres a lot of free parking available on site.